We became aware a week or so ago of a couple of related studies released recently byNYU Marron Institute of Urban Management. Some new and unexpected insights on the relationship between commuting and productivity of cities. Please take some time to read COMMUTING AND THE PRODUCTIVITY OF AMERICAN CITIES: How self-adjusting commuting patterns sustain the productive advantage of larger metropolitan labor markets by Shlomo Angel and Alejandro M. Blei. It is some rather academic reading, but worth gaining some new perspectives. They also released a companion study,COMMUTING AND THE SPATIALSTRUCTURE OF AMERICAN CITIES:The dispersal of the great majority of workplaces away from CBDs, employment sub-centers, and live-work communities. which we'll review another time. It also provides some new perspectives on the urban form. The net of the "Commuting and Productivity" publication is that as cities double in size the expected commute times do not increase nearly as much as expected. The authors seek to find out why that is by analyzing commuting times across 40 cities in the US. This was reported in Citylab on January 4th as Why Commutes Aren't Twice as Long in Cities With Twice the Population. We'll start with Citylab's take on the research. the Urbanization Project at New York University, found that cities with twice the number of jobs sustained a labor market nearly double in size within a “tolerable” commute of 30 (87 percent), 45 (94 percent), or 60 minutes (97 percent). An important concept in Angel's and Blei's work is the actual jobs available within a "tolerable" commute, which is really the key driver behind the greater productivity, known locally as "economic development", of larger cities. All told, density, relocation, and mobility reduced expected commute times in a large metro area by a factor of six, relative to one half its population size. For those keeping close score at home: density contributed to 25 percent of the reduction, relocation 41 percent, and mobility 34 percent. Angel and Blei conclude with some broad policy suggestions for urban planners: help people find affordable homes near work, help businesses relocate near workers, and help commuters get from home to office. Another way to look at it, only 25 percent of the reduction is attributed to increased density as cities grew, the other 75 percent reduction is due to where people choose to live, where the jobs are, or move to, and improvements in the broader transportation infrastructure resulting in higher speeds. benefits of density and mobility suggest a need for compact development near transit lines; on the other hand, the benefits of freeway speed would seem to endorse a transportation status quo that centers on car travel.Angel prefers to focus on the bigger picture: local initiatives that make commuting less tolerable might reduce overall productivity—and right now, for better or worse, commuting in American metros mostly means driving. Bingo! There it is, urbanists lamenting their rhetoric does not match reality. If the vast majority of jobs are not along transit corridors, the vast majority of job growth and businesses will not emerge along transit corridors. Citylab does not want to admit it, but as the study shows, as the cities grow, they also grow their interstate system to improve the speed over what they would expect on growth alone. This, along with people making decisions on where to live and work, and employers deciding where to locate, closer to available employees, in the suburban ring, along with increased density, make it all work better than otherwise expected. 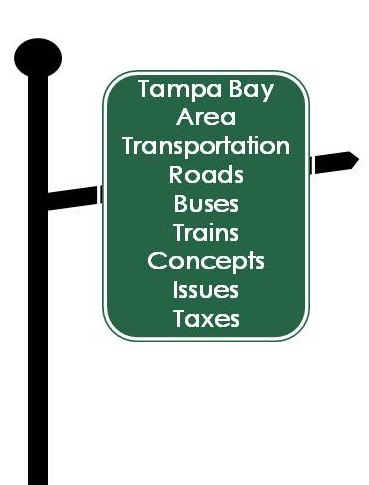 Cities such as Tampa now have vast majority of jobs outside transit corridors and the central business district. The suburban form is well entrenched and growing around here, therefore improving speed for suburban to suburban commutes in the metro area becomes increasingly important. 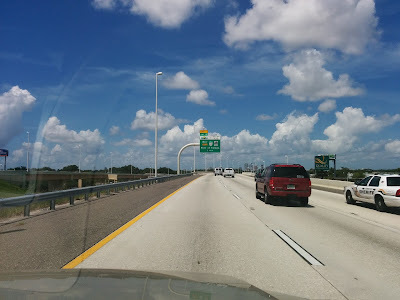 A simple transportation policy goal that will maintain and increase the productivity of American cities is a renewed emphasis on maintaining and increasing the mobility of workers throughout the metropolitan area:developing and maintaining fast and efficient regional transportation systems that can connect all locations within a metropolitan area to all other locations. This necessarily requires a renewed emphasis on longer, rather than on shorter commutes, and on suburb to suburb commutes—journeys to work that now comprise the great majority of commuter travel— rather than commutes to the city center. And since, as we noted earlier, larger metropolitan areas may require, on average, longer commuting distances between residences and workplaces, they can only maintain that goal by ensuring that commuting takes place at higher average speeds. In other words, other things being equal, larger metropolitan areas require better metro wide transportation infrastructure and better metro]wide traffic management than smaller ones, allowing commuters to travel longer distances at higher average speeds so as to maintain comparable overall access to their labor markets. As it turns out, cities in general and large cities in particular are self organizing. The efficiency with which metropolitan labor markets arrange and rearrange themselves so that jobs remain within workers’ tolerable commute range and so that workers can continue to reach their workplaces quickly as cities grow larger and larger is not the result of planning. It comes about through the many location and travel decisions of workers seeking to improve their economic well being and firms seeking to improve their profitability, given the range of locations and travel possibilities that the city offers or denies them. Transportation and land use policies can and do make possible the efficient and equitable operation of metropolitan labor markets, but they can also hinder and damage it. Lesson learned for Tampa Bay? We hope so. The Angel and Blei study implicitly supports FDOT's Tampa Bay Express plans, as we'll need increased capacity on the highways for the anticipated growth in Tampa Bay, and most of the new arrivals will be commuters across the metro area. 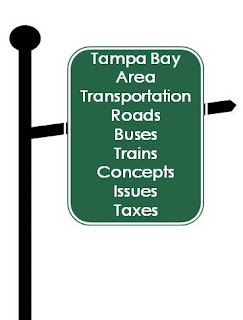 They'll be driving the growth in productivity in Tampa Bay, and will need improved transportation speed to support them. Time, after all, is money. A friend of mine is now graduated from online university and get best MBA programs. He told me about his MBA process and it’s really awesome or easy to enroll in it, he said there was a well-educated faculty and advance learning system for all. After he get a degree or certificate one of a popular company is hired him at positive position.